The battle of supremacy between Wizkid and Davido rages on( is there really a comparison? )So,yesterday,Davido threw major shade at AFRIMA Awards after Wizkid won three awards including song of the year while he(Davido) won none. 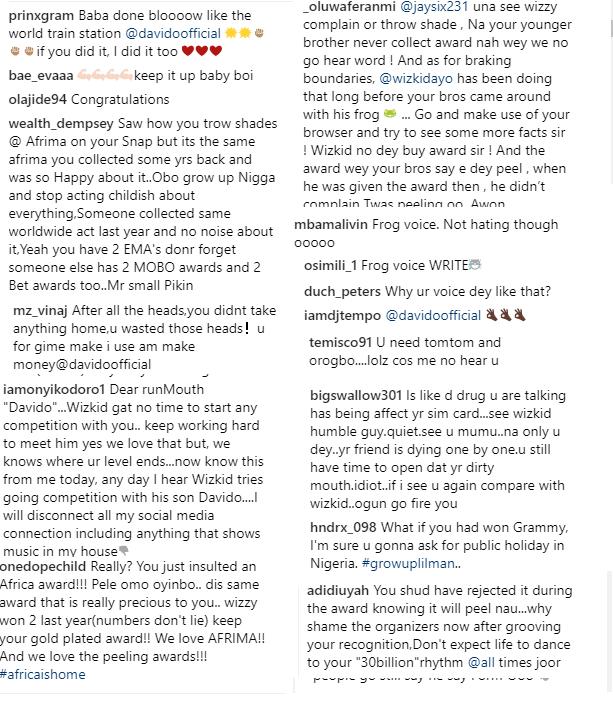 When he eventually won the MTV EMAs for Best WorldWide Act, Davido took to Snapchat to blast the awards ,saying the plague peels..
Wizkid’s fans have come for him on socialmedia calling him frog voice and using the frog emoji . 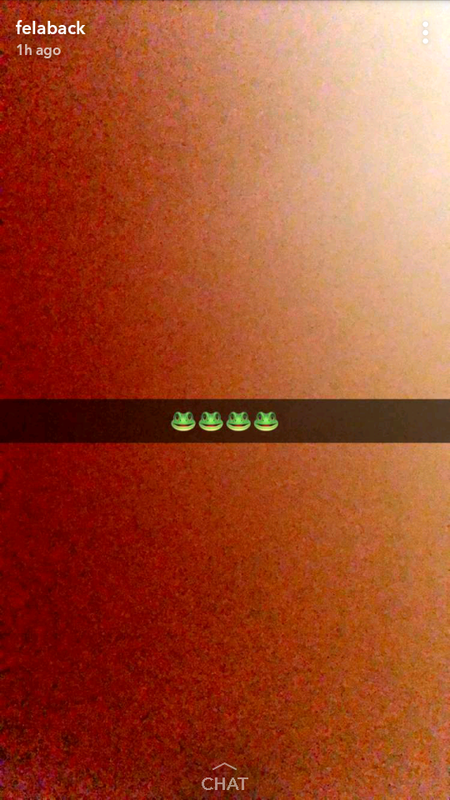 Well,Wizkid posted the frog emoji on Snapchat and Twitter while hailing his fans as militants.Talk about petty.